Gastric cancer (GC) is the third leading cause of cancer death due to its poor prognosis and limited treatment options. 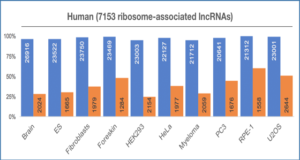 Evidence indicates that pseudogene-derived long noncoding RNAs (lncRNAs) may be important players in human cancer progression, including GC. 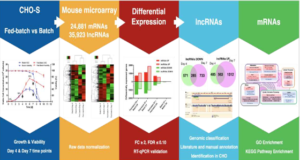 Researchers from the Nanjing Medical University report that a newly discovered pseudogene-derived lncRNA named DUXAP8, a 2107-bp RNA, was remarkably upregulated in GC. Additionally, a higher level of DUXAP8 expression in GC was significantly associated with greater tumor size, advanced clinical stage, and lymphatic metastasis. Patients with a higher level of DUXAP8 expression had a relatively poor prognosis. 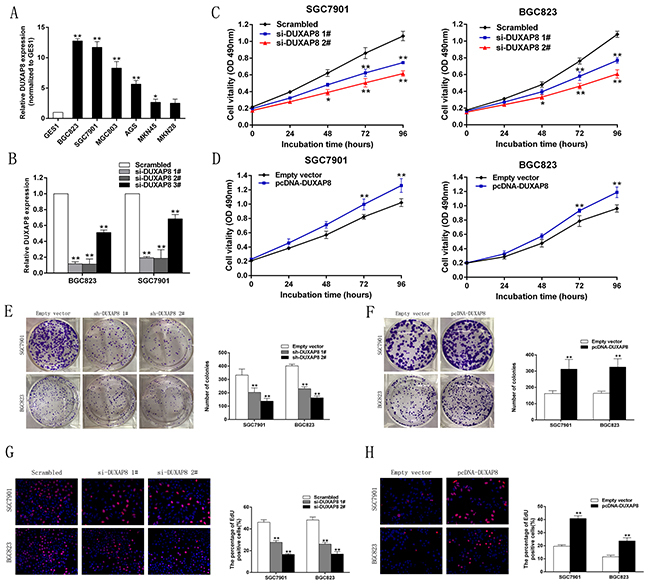 Further experiments revealed that knockdown of DUXAP8 significantly inhibited cell proliferation and migration, as documented in the SGC7901 and BGC823 cell lines. Furthermore, RNA immunoprecipitation and chromatin immunoprecipitation assays demonstrated that DUXAP8 could epigenetically suppress the expression of PLEKHO1 by binding to EZH2 and SUZ12 (two key components of PRC2), thus promoting GC development. Taken together, our findings suggest that the pseudogene-derived lncRNA DUXAP8 promotes the progression of GC and is a potential therapeutic target for GC intervention. A. QRT-PCR analysis of DUXAP8 expression in the normal gastric epithelium cell line (GES1) and GC cells. 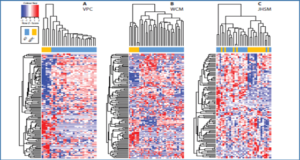 B. QRT-PCR analysis of DUXAP8 expression in control (scrambled), si-DUXAP8 1#, si-DUXAP8 2# and si-DUXAP8 3# treated GC cells. C, D. MTT assays were used to determine the viability of si-DUXAP8-transfected or pcDNA-DUXAP8-transfected GC cells. Experiments were performed in triplicate. E, F. Colony formation assays were performed to determine the proliferation of sh-DUXAP8-transfected or pcDNA-DUXAP8- transfected GC cells. Colonies were counted and captured. 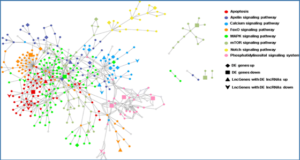 G, H. Proliferating SGC7901 and BGC823 cells were labeled with Edu. The Click-it reaction revealed Edu staining (red). Cell nuclei were stained with DAPI (blue). Representative images and data based on three independent experiments. Error bars indicate mean ± standard errors of the mean. *P < 0.05, **P < 0.01.